Karen Moe is an emeritus technology manager at the NASA Goddard Space Flight Center, retiring after 40+ years at the space agency. She managed technology development for Advanced Information Systems Technology for Earth Science until 2015. 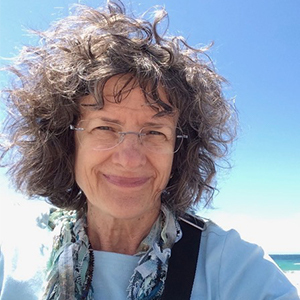 In the early days of the EOSDIS, Karen helped create the Earth Science Data and Information System prototyping projects and contributed to the ESDIS working groups with a focus on technology infusion. Karen also served as the chair of the AGU Earth and Space Science Informatics focus group and helped raise the level of coordination between ESIP and ESSI activities, including participation in the Falkenberg Award (which was jointly established by AGU and ESIP members in 2002). She currently co-chairs the Disasters Lifecycle Cluster, and volunteers in local environmental groups.